What phaser are you using? Discussion in 'Effects, Pedals, Strings & Things' started by cheapgtrs, May 4, 2016.
i'm using a small stone. started with the small stone, tried out a bunch of others, ended back up with the small stone. bigstar, JJ Fux, ChampReverb and 1 other person like this. The old stand-by, EVH Phase 90. Does what I need it do when called upon which isn't a lot. MoonshineMan, EADGBE and Kelly like this. I've had an Empress since release. Others have come and gone without coming close, sonically or functionally, although the only other one I've tried from your list is the Whetstone. Silenceborn, paul q, Clean Channel and 1 other person like this. Same experience here, such a great phaser the Small Stone. For a different taste I'd try the Grand Orbiter. Don't get the Whetstone. I really liked the Whirlwind Phase 90 clone. 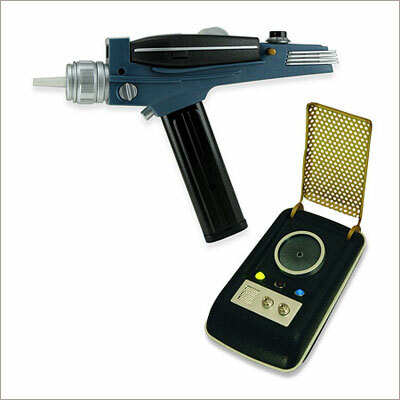 I use the phaser in my Atomic Amplifire now but I miss the Whirlwind. blackba and Caprica like this. CPW, DavidRAZ, 71strat and 1 other person like this. bealtown, jwny72, TEPR and 15 others like this. Those are all great units. Silenceborn, Daren Anderson, EduFiend and 2 others like this. Mobius for me. Still have a Phase 90 on stand by. Gillespie1983 and hippieboy like this. I've really wanted to try the Moog for a long time. The thing about it that kills me, is the absence of a "mix" knob. MXR EVH Phase 90. Got it used for cheap and sounds good. Maxon PH-350 (live) and a vintage Maestro Stage Phaser (recording). I had a retro sonic. to me it $ucked. got rid of it on CL. I think the small stone is one of the better ones. I have their chorus and love it. Been using a Red Witch Deluxe Moon phaser for about 7 years now. Really vibe-y tone. I like it. I'm gonna look into some of these other options. Things I want it to do, well, I like each one for different reasons. I like the waveforms and wah kind of capabilities of the apollo. The whetstone does the almost ring mod kinda sounds. The chase bliss really looks incredible but with all those options I'm not sure I'd ever accomplish anything. Super cool though. The empress clips I've seen, well it's just a beautiful sounding phaser. So I guess the question I ask is not what do I want it to do but what can it do. I think all of them are capable of giving me nice chewy phase. I do a lot of experimental music so I love all the weirdness. Boss PH-3. I need tap tempo. I had the PH1 when I was a youtt. I've heard better sounding, but my audience don't know nothing. ColonelForbin and cheapgtrs like this. I have the Empress Phaser and it is tremendous. More traditional waveforms sound great, the step wave is killer, and my favorite feature may be the auto mode. It's like an envelope filter but not as quacky and much more full bodied. I have a boss PH-3 as well which the rise/fall and step are quite nice. The high band waves are pretty good too but nowhere near as simple as your basic sweep from a phase 90. Clean Channel, Caprica, Flatscan and 1 other person like this.